Kenneth Bryan COX was born on 21 Nov 1948. Kenneth married Brenda Faye HAYES. Brenda Faye HAYES [Parents] was born on 11 Aug 1948. Brenda married Kenneth Bryan COX. Jed Pruitt "Beau" HAYES [Parents] was born on 26 Aug 1949 in Amherst, Lamb, Texas. Jed married Diane HERRING in Aug 1978 in West Tawakomi, Hunt, Texas. Diane HERRING. Diane married Jed Pruitt "Beau" HAYES in Aug 1978 in West Tawakomi, Hunt, Texas. Jenny HAYES was born on 11 Jan 1979 in Dallas, Dallas, Texas. Jed Pruitt "Beau" HAYES [Parents] was born on 26 Aug 1949 in Amherst, Lamb, Texas. Jed married Judy WELLS in Jul 1976. Judy WELLS was born about 1957. Judy married Jed Pruitt "Beau" HAYES in Jul 1976. Chanda HAYES was born on 29 Jun 1978 in Dallas, Dallas, Texas. Jed Pruitt "Beau" HAYES [Parents] was born on 26 Aug 1949 in Amherst, Lamb, Texas. Jed married Sherry Yvonne BOX about 1980. 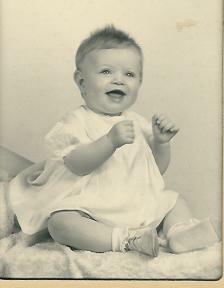 Sherry Yvonne BOX [Parents] was born on 14 May 1951 in Brownwood, Brown, Texas. She was christened in Baptist, Sweetwater, Texas. Sherry married Jed Pruitt "Beau" HAYES about 1980. Billy Jack GLOVER. Billy married Donna Kay HAYES on 30 Apr 1999. Donna Kay HAYES [Parents] was born on 21 Nov 1950 in Odessa, Ector, Texas. Donna married Billy Jack GLOVER on 30 Apr 1999. G. C. LEWIS. G. C. LEWIS married Maggie BICE. Maggie BICE [Parents] was born in 1883. She died in 1979. Maggie married G. C. LEWIS. Jed Pruitt "Beau" HAYES [Parents] was born on 26 Aug 1949 in Amherst, Lamb, Texas. Jed married Stacy Renee SCROGGINS in 1994. Stacy Renee SCROGGINS [Parents] was born on 19 Nov 1976 in Denton, Denton, Texas. Stacy married Jed Pruitt "Beau" HAYES in 1994. Joshua Lee SCROGGINS was born on 20 Dec 1994. Tessie Jo Pollyana HAYES was born on 21 Apr 2001. Jacob Paul HAYES was born on 9 Dec 2002 in Greenville, Hunt, Texas. Joel Wayne HAYES was born on 21 May 2003 in Greenville, Hunt, Texas. Clifford Eugene MC ATEER. Clifford married Sherry Yvonne BOX. Sherry Yvonne BOX [Parents] was born on 14 May 1951 in Brownwood, Brown, Texas. She was christened in Baptist, Sweetwater, Texas. Sherry married Clifford Eugene MC ATEER. Tim MC ATEER was born on 13 Jan 1970 in Carrollton, Dallas, Texas. Robert Eugene HARRIS. Robert married Sherry Yvonne BOX. Sherry Yvonne BOX [Parents] was born on 14 May 1951 in Brownwood, Brown, Texas. She was christened in Baptist, Sweetwater, Texas. Sherry married Robert Eugene HARRIS. Ober Denton BOX. Ober married Oma Dale STEPHENSON. Oma Dale STEPHENSON. Oma married Ober Denton BOX. F i Sherry Yvonne BOX was born on 14 May 1951.